Post-op pain can be as frustrating and uncomfortable as the original problem you were trying to treat in the first place. Although medication is the most common treatment to manage this kind of pain, there is a more natural and surprising way to find relief after an operation. A recent study revealed that 70% of people in the United States suffer from back pain at least once in their lifetime, and over five million have short-term or permanent disability caused by spinal problems. This type of pain is so common, and researchers have been looking for a way to make the healing and recovery process easier for patients. The study, conducted by researchers from Mount Sinai Hospital in New York City, revealed that music therapy combined with traditional medical treatment was more effective in relieving pain than standard care alone. John Mondanaro, the study’s lead author and clinical director of the Louis Armstrong Department of Music Therapy, said that postoperative spine-surgery patients have a high risk of complications with pain management. Patients in the study rated their pain before and after the music therapy, and those who used it reported a decline in their discomfort levels. But how does this work? Several medical professionals I’ve spoken with have confirmed that pain is subjective and varies from patient to patient. Each person may need a different approach to treatment. The results of the music therapy study prove that some relief is possible depending on the mental state of the patient. If you are over-stressed and frustrated by your pain, the sensations will likely be stronger. Try spending some time singing or listening to relaxing music, rhythmic drumming, or live music. These sounds can help ease tension in your mind and body, relax you, and help you feel better overall. If you have been taking pain medication but want to experience deeper relief post-surgery, music may be the key. 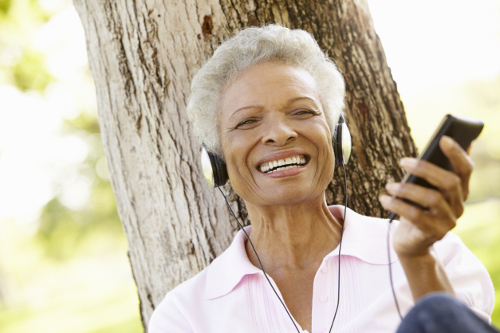 Ask your doctor about recommendations for music therapy if you have chronic back pain from surgery. Dallas, M. E., “Music May Soothe the ‘Savage Beast’ of Post-Op Pain,” MedlinePlus, April 7, 2017; https://medlineplus.gov/news/fullstory_164526.html, last accessed April 17, 2017. “Music May Sooth the ‘Savage Beast’ of Post-Op Pain,” Health, April 7, 2017; http://www.health.com/healthday/music-may-soothe-savage-beast-post-op-pain, last accessed April 17, 2017. “Music Therapy Reduces Pain in Spine Surgery Patients,” Mount Sinai Hospital, March 27, 2017; http://www.mountsinai.org/about-us/newsroom/press-releases/music-therapy-reduces-pain-in-spine-surgery-patients, last accessed April 17, 2017.